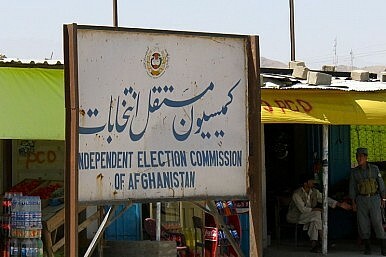 Afghanistan’s Election Commission disqualified sixteen presidential candidates from the 2014 election. Afghan citizens will go to the polls on April 5, 2014 to elect Hamid Karzai’s successor. Initially, 27 candidates, including five women, entered the race. However, on Tuesday Afghanistan’s Independent Election Commission announced that 16 of the initial 27 candidates had been disqualified. Al Jazeera reports that the “list saw no big names disqualified.” Some believe the IEC’s challenge to these candidates was influenced by the Karzai government, challenging its constitutionally-mandated independence from politics. Notable candidates that survived the disqualification include Zalmai Rassool, who is expected to be Karzai’s choice for president, and Abdullah Abdullah, a runner-up in the 2009 election. Additionally, Abdul Rasul Sayyaf, a warlord whom the BBC referred to as “the most controversial candidate,” also was not disqualified. 2014 is a year of important deadlines in Afghanistan. The most-discussed is perhaps the withdrawal of U.S. troops, which began in July 2011 and is expected to conclude at the end of 2014. However, for Afghan citizens, the year will finally test whether thirteen years of conflict and occupation delivered major political change. A general air of pessimism surrounds the 2014 election, particularly due to the electoral troubles experienced in 2005, 2009, and 2010. Besides fearing violent retribution from the Taliban for voting, many Afghans have become jaded by the corruption, rent-seeking, and nepotism that define Afghan politics. The 2014 election is a litmus test for Afghan democracy. It represents the first transition of power from one elected president to another, and its successful execution would represent a marked uptick in multi-ethnic Afghanistan’s social and political cohesion. Afghanistan’s Pashtun, Tajik, Hazara, Uzbek, and Baloch ethnic groups have historically pursued conflicting political objectives based more in ethnic identity than in any common recognition of Afghan citizenship. A successful election could be a first step towards changing that. Furthermore, 65 percent of Afghans are under the age of 25, and for such a youthful nation, a successful presidential election is likely to be a source of long-term faith in democracy and a rejection of the sort of tribal politics that have long plagued Afghanistan. The election will proceed concurrently with the increasingly-fragile Doha process with the Taliban. Given that the Taliban were unwilling to reconcile with Karzai’s government prior to the IEC’s deadline, no Taliban candidates will be permitted to run in the current election. U.S. and Afghan envoys have noted the possibility of the Taliban’s future participation in Afghan politics provided they accept the current constitution and several other key conditions. Carlotta Gall on her book The Wrong Enemy: America in Afghanistan, 2001-2014. and the future of a troubled region.